(Phys.org)—Of the three telescopes carried by NASA's Swift satellite, only one captures cosmic light at energies similar to those seen by the human eye. 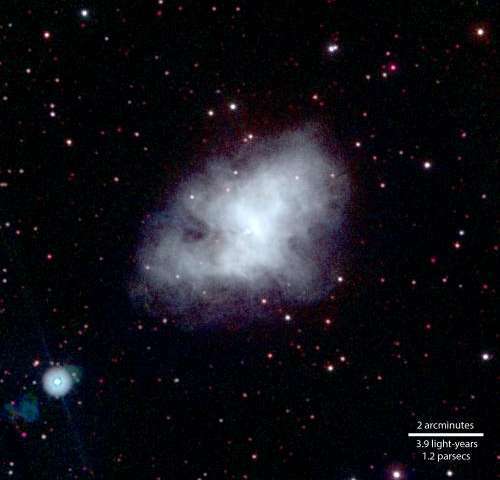 Although small by the standards of ground-based observatories, Swift's Ultraviolet/Optical Telescope (UVOT) plays a critical role in rapidly pinpointing the locations of gamma-ray bursts (GRBs), the brightest explosions in the cosmos. But as the proxy to the human eye aboard Swift, the UVOT takes some amazing pictures. The Swift team is celebrating eight years of UVOT operations by collecting more than 100 of the instrument's best snapshots in a web-based photo gallery. The images also can be viewed with the free Swift Explorer Mission iPhone app developed by the Swift Mission Operations Center (MOC), which is located in State College, Pa., and operated by Penn State. 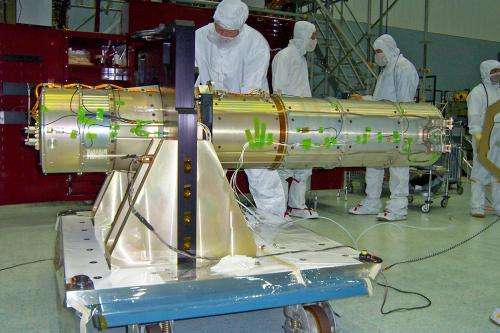 Swift has detected an average of about 90 GRBs a year since its launch in 2004. "When we aren't studying GRBs, we use the satellite's unique capabilities to engage in other scientific investigations, some of which produce beautiful images from the UVOT that we're delighted to be able to share with the public," said Michael Siegel, the lead scientist on the UVOT and a research associate in astronomy and astrophysics at the MOC. The targets range from comets and star clusters to supernova remnants, nearby galaxies and active galaxies powered by supermassive black holes. "One of our more challenging projects in the past was completing an ultraviolet mosaic of M31, the famous Andromeda galaxy," said Stefan Immler, a member of the Swift team at NASA's Goddard Space Flight Center in Greenbelt, Md. "Because the galaxy is so much larger than the UVOT field of view, we had to take dozens of pictures and blend them together to show the whole object." An ongoing mosaic project targets the Large and Small Magellanic Clouds, two small satellite galaxies orbiting our own, and makes the Andromeda effort look like child's play. Although the galaxies are much smaller than M31, they are both much closer to us and extend over much larger areas of the sky. The task involves acquiring and aligning hundreds of images and is far from complete. With the UVOT's wavelength range of 1,700 to 6,000 angstroms, Swift remains one of few missions that study ultraviolet light, much of which is blocked by Earth's atmosphere. The 6.5-foot-long (2 meter) UVOT is centered on an 11.8-inch (30 cm) primary mirror. Designed and built by the Mullard Space Science Laboratory in Surrey, England, the telescope module includes the primary and secondary mirrors, an external baffle to reduce scattered light, two redundant detectors—only one has been used to date—and a power supply. Each detector lies behind an identical filter wheel. The wheel holds color filters that transmit a broad range of wavelengths as well as devices called grisms, which spread out incoming light in much the same way as a prism spreads sunlight into a rainbow of component colors. The detectors retain information on the position and arrival time of each photon of light, an operating mode similar to typical X-ray telescopes. 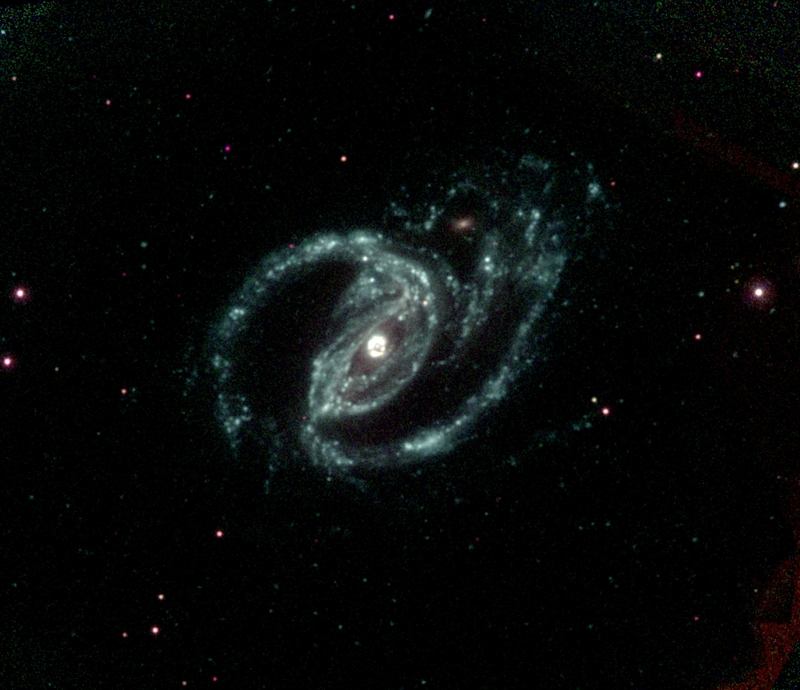 Because most ultraviolet light never reaches the ground, Swift's UVOT provides a unique perspective on the cosmos. For example, it can measure the amount of water produced in passing comets by detecting the ultraviolet emission of hydroxyl (OH), one of the molecular fragments created when ultraviolet sunlight breaks up water molecules. Other types of UVOT science include exploring emissions from the centers of active galaxies, studying regions undergoing star formation, and identifying some of the rarest and most exotic stars known. Toward the end of its energy-producing life, a star like the sun will blow away its outer layers as its core transforms into a compact, Earth-sized remnant known as a white dwarf. This chapter of stellar evolution, known to astronomers as the post-asymptotic giant branch phase, lasts only about 100,000 years—just an eye-blink in comparison to the star's total lifetime. To better understand the process, astronomers need to study large numbers of these unusual stars. "The UVOT's capabilities give us a great tool for surveying stellar populations and cataloging rare types of ultraviolet-bright stars," Siegel explained. 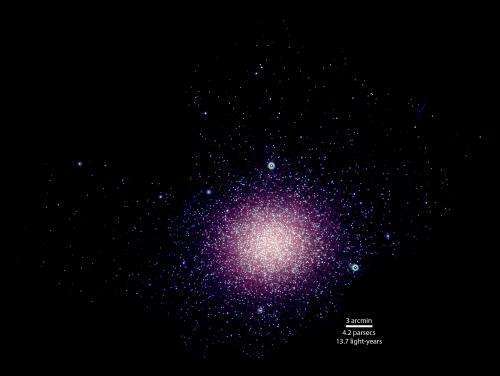 One of the first targets for the stellar survey was the giant cluster Omega Centauri, which hosts millions of stars and may be the remains of a small galaxy. Thanks to Swift's UVOT, astronomers at Goddard and Penn State have cataloged hundreds of rare stellar types in the cluster and are now comparing their properties and numbers to predictions from theoretical models describing how stars evolve. have in common with the experiments on this page? They are both DPF (Dense Plasma Foci)! If you are tired of it, give me the thumbs down and don't read it, a vast majority obviously ignore it anyway, why shouldn't you join them. "Occasionally he stumbled over the truth, but hastily picked himself up and hurried on as if nothing had happened."